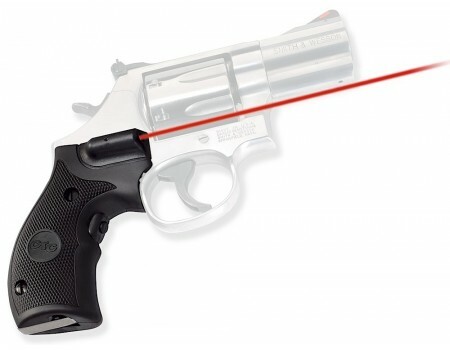 These Crimson Trace Lasergrips fit Smith & Wesson revolvers and operate using front placement instinctive activation. They have user-adjustable windage and elevation. Two batteries provide more than four hours of on time use. These Lasergrip models feature a hard polymer surface well suited for personal defense or rubber overmold with a polymer base. The smooth polymer material provides for snag-free draws and is hard enough to meet strict standards for durability and reliability.